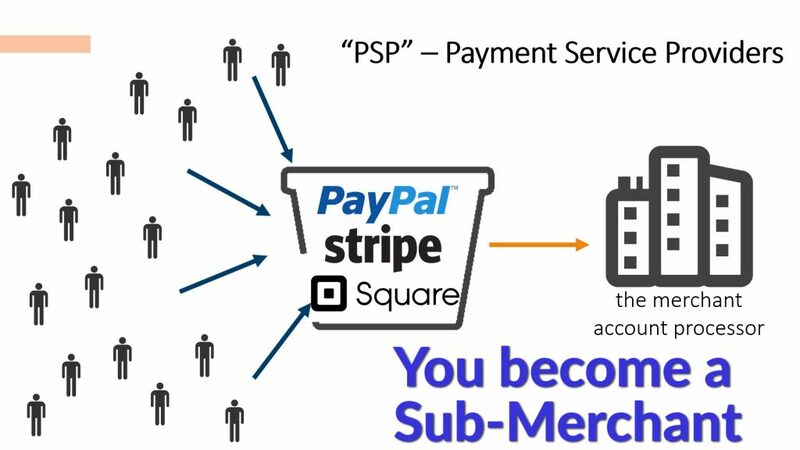 What’s the difference between PayPal, Stripe, Square, and a True merchant account… and which one is best? And I’ll give you a little hint, it depends on how you run your business. The right solution for you depends on variables that are obviously unique to your business like, price, software integrations, the number of products you sell, how you sell and deliver them, and whether you want to integrate into a CRM, an ecommerce website or perhaps a customer management system. …all of those things, unique to YOUR situation! As I mentioned, I do have my recommendation and in this video I’m gonna tell you which one you should be using and when it’s best to use it. PLUS, I’ll give you the number 1 thing that you should avoid in order to keep your account from being shut down or frozen, specifically if you’re using paypal stripe or square. A quick side note: This video is going to be a complete comparison. It’s comprehensive so at the end of it, you should be able to determine what option is best for you right now. There is an outline in the description of this video AND the associated website article, so check those links if you’re interested only in a specific part of what I’ll cover. And speaking of that, here’s the breakdown. Number 2: the pricing of each of them. So these 3 are going to team up and we’ll be comparing the 3 of these, to true merchant account providers as I mentioned. 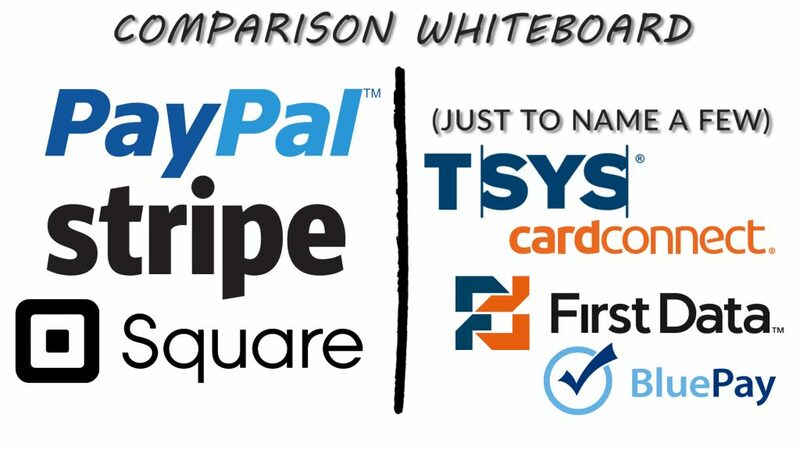 Paypal has been around the longest of the 3, and because of that it has been the standard for easy setup to take credit card payments, but with the inception of stripe and square, you now have alternatives, and with that the “which one is best” question becomes more complex. So what’s a payment aggregator? Being a payment aggregator means that the 3 of these companies are essentially allowing you to run payments through ONE merchant account that is registered with a processing bank. These 3 providers are known as “PSP’s” (Payment Service Providers), not true merchant account processors. Here’s how they work: Instead of giving YOU a specific merchant ID number through a processing bank, they are simply issuing you a separate account to use theirs. In a way, they are giving you a license to process payments through their merchant account. So for example you sign up for a free account with Stripe and for that they charge a percentage of each transaction to use their platform and use the payment features that comes with their accounts. Everything is handled in house through their customer service and their processing network so you will never have communication with the processor itself. All three PSP’s are free to sign up for and there is minimal documentation that is required to activate your account. There’s no “vetting” process or background checks and therefore therefore no formal approval process. They don’t know what your business is selling, how (or if) you fulfill product orders and they don’t have any idea of your personal credit or business history of taking credit card payments. And, they don’t know if you’re actually selling the product that you claim you’re selling when you applied for the account. They really don’t know who you are! You just go online and sign up for free and perhaps verify a couple test deposits just so they know you actually have a real bank account. Within minutes you can set up an account and be accepting payments for your products and services. This aggregator model exists because the providers can spread the risk across many different users to offset losses like chargebacks and outright fraud… because with a model that doesn’t have an underwriting process, so people abuse it and there are certainly cases where abuse happens. So therein lies the problem, for YOU! These 3 service providers all have their own risk procedures, that allow them to hold or freeze your funds if volume changes or chargebacks occur within your account, or really anything that they see as suspicious activity… and it’s completely up to them. Any time the exchange of money is involved, there’s risk of financial loss (again because of chargebacks and fraudulent activity) so they reserve the right to hold your funds IF their algorythm detects a red flag. So as I said, literally anyone who can type can get an account. While that’s a good thing on one hand if you want to get up and running quickly, you know the saying, easy come easy go! These three providers, especially PayPal, have been notoriously known to shut down and freeze accounts without warning. It actually happens all the time and may have even happened to you. 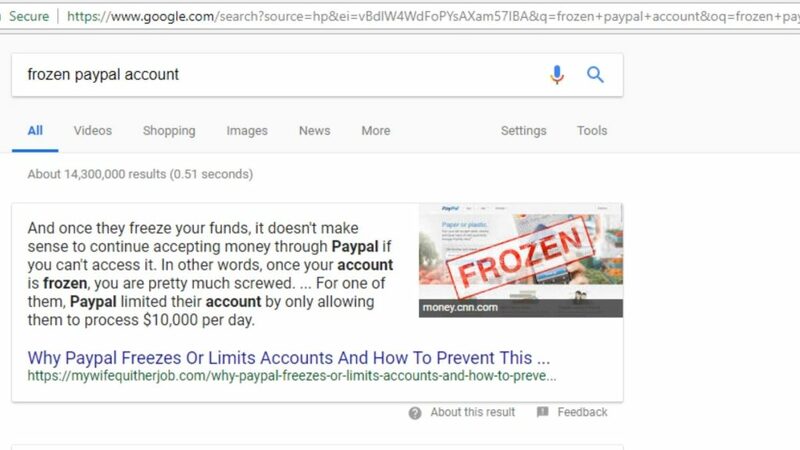 If you just Google “frozen paypal account” of “frozen stripe account” you’ll see what I’m talking about. If that happens to you, you’re at the mercy of that service provider’s customer service and it’s just not a place you want to be in. 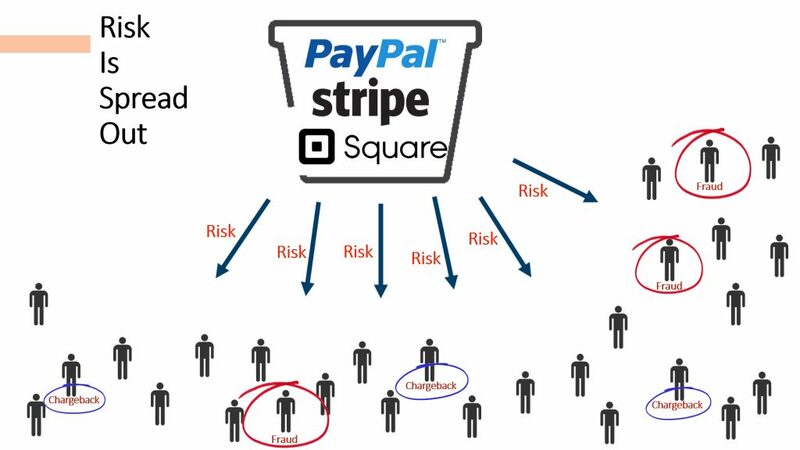 Regardless of that possibility, Paypal, Stripe and Square are used by millions of people worldwide so they obviously work well for some businesses and some people. But when is it good for you, and when should you consider a merchant account? I’ll get to that in a minute but first let’s quickly look at the true merchant account option and then I’ll give you some comparison questions to ask yourself so you know what’s the best option for you. So since the Payment Aggregators are on one side of the comparison, true merchant account providers are in the other. Now, let me be clear, that I’m NOT comparing ONE SPECIFIC merchant account provider to the next although I do have my recommendations, I’m simply comparing the benefits of how true merchant accounts are set up for your business vs. the 3 payment aggregators. The aggregator model takes one merchant account and offers it for use to many different business as I illustrated before. 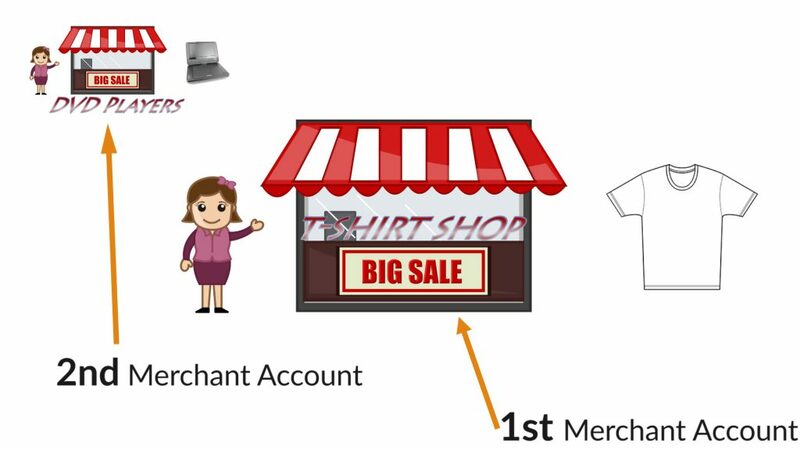 A true merchant account is a dedicated bank account that is used to deposit money from credit card transactions so with this model, the processor (or the Bank) issues a Merchant ID, that is exclusive to your business and no one else. So it’s a straight line relationship from your company, directly to the processor. So all those things that the 3 aggregators bypass and don’t ask for, like your business history and creditworthiness, all come into play here. Typically a merchant account application will ask for, your personal credit history, a tax ID number and business history, as well as how you process transactions and other details about your business model. One of the biggest benefits here is that the merchant account provider actually gets to know you and can gain an understanding about your business and how you operate especially if you’re working with a professional who knows the payments industry. Your funds CAN still be held or frozen if you misrepresented yourself or you do something that triggers a risk flag like claiming that you’re selling one product like t-shirts for example but really you’re accepting payments for 2nd hand electronics on the black market. 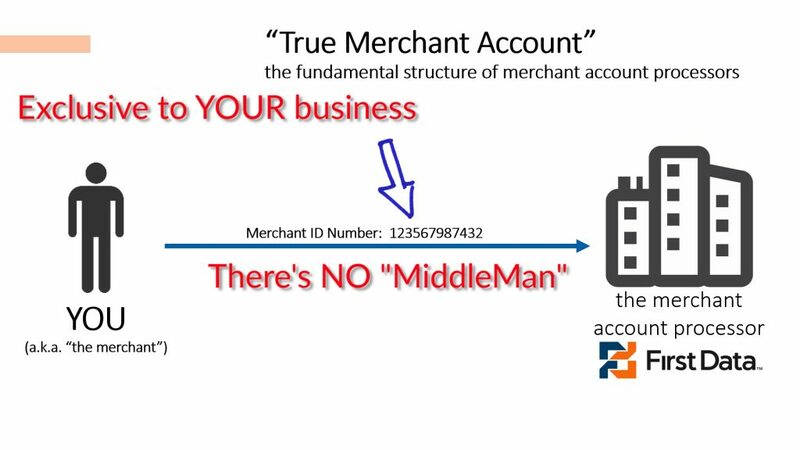 The number one way to get your merchant account shut down or frozen with one of the 3 payment aggregaotrs, is to MISREPRESENT what you are selling and/or to comingle 2 different companys together into one account. BUT risk can go down and the likelihood of frozen accounts or funds being withheld are greatly diminished IF you pick the right merchant account provider.. Some are MUCH more lenient on “risky” business models and others want low risk businesses only like retail coffee shops or restaurants. There’s low risk and high risk providers out there. I won’t go into all the details of picking the right merchant account provider here because I have covered that topic in other videos and articles, so click the screen or the link in the description for those resources on how to compare and pick the right merchant account provider. You can also reach out and message me or leave a comment below if you have questions. 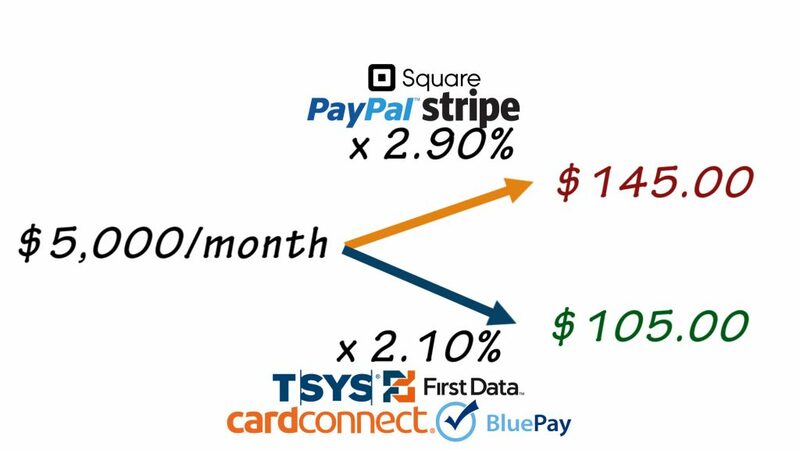 The pricing models for Stripe, Paypal and Square, and the thousands of merchant account providers vary sometimes substantially, but are all for the most part within the same general range of a couple percent to 2.75% to 3.50%. Paypal, Stripe and Square all post their rates right on their website and those links are in the description of this video. Most merchant account providers post their fixed monthly fees for their platform which can range from $5 per month to $50 depending on the software that you get access to and the features that you require like adding virtual terminal, hosted payment page or an ecommerce plugin. If your business does lots of transactions AND/or lots of volume per month, you will almost certainly get a lower rate (or be able to negotiate a lower rate) and thus lower effective cost by going with a true merchant account option vs, one of the Aggregators..
For merchant accounts and payment aggregator options there are percentage rates plus transaction fees that blend together to give you an effective rate at the end of the month for accepting credit card payments. 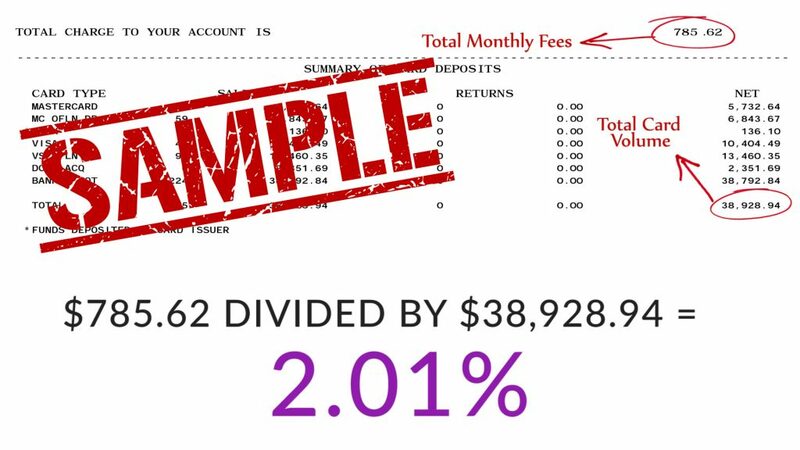 Simply take the total fee and divide it into the total monthly volume to find your effective rate. Overall, if you’re business is established and processing regular volume a merchant account processor SHOULD yield a lower effective cost than a payment aggregator to accept credit cards for your business. When Do You Use Paypal, Stripe or Square vs. TRUE MeRCHANT. 4- and in general, what your needs are at your business!! 1- how many transactions and how much volume are you processing per month? 2- how often do you use the account? 3- what software are you connecting your payment processing solution to? 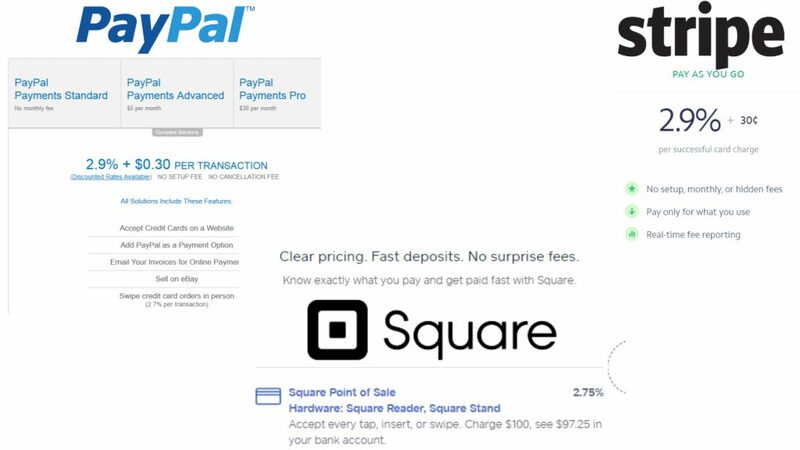 Generally speaking, Paypal, Stripe and Square are looked at as the quick and easy setup options but as we’ve demonstrated, they all have their drawbacks. Having a merchant account gives you the privilege of a more custom and robust account with the ability to add multiple gateways and tie into software or multiple point of sale software and devices. If your business relies solely on one of the 3 payment aggregators right now, and you’re looking for an alternate option check the links in the description. So, you want to look at frequency of transactions and how you’re going to use the payment processing solutions we’ve talked about today. Do you want the quick and easy solution? If so, you can jump over to paypal and set up an account and send out an invoice link in a matter of minutes. OR you can just set up a BUY NOW button on your website that is created through the PayPayl user interface. You just copy and paste code and your done! Do you want to customize a bit more and put payments on your WIX website so you can sell your physical product in an ecommerce store? Then you could just set up a Stripe account, buy the Stripe plugin through the WIX marketplace and you’re off to the races. Do you want control over pricing and other integration options or are you okay with an off-the-shelf solution. In the end, each aggregator has it’s strong points in the marketplace. PayPal is a good solution for small to medium sized businesses doing somewhat low or infrequent volume and it is a GREAT starter merchant account option. Stripe has it’s niche with businesses that want to take payments exclusively online or through their api integration with an invoicing app like SimplyPay or Invoiced for example…. And Square has carved out it’s corner of the market with the mobile payments although they are (at the time of this video) breaking into the software integrations to make ecommerce processing options possible. Once your business reaches a level of consistent volume you’ll probably find that opening a merchant account gives you greater flexibility and opens new doors for growth of your business. Additionally, IF your business has grown to the point where you are processing more than $5,000 per month in credit card volume, using a payment aggregator is probably costing you thousands of dollars in fees over the course of a year, and if you’re processing a LOT of volume it could be thousands per month! IF you are setting up a payment system in your business and you have some questions that were not covered in this video, comment below with your questions AND check the links in the description to get in touch with me. I’ve seen lots of different scenarios over the years, I’ll be able to point you in the right direct. And if you want more videos Be sure to subscribe so you don’t miss any new videos when they’re posted.